Observation notes: Sunny Clear Dry, except springs seeping from Cliffs, on Statice Flower for nectar. at least Five seen in this area. Short walk from the San Clemente North Beach Train Station on Beautiful Beach trail! 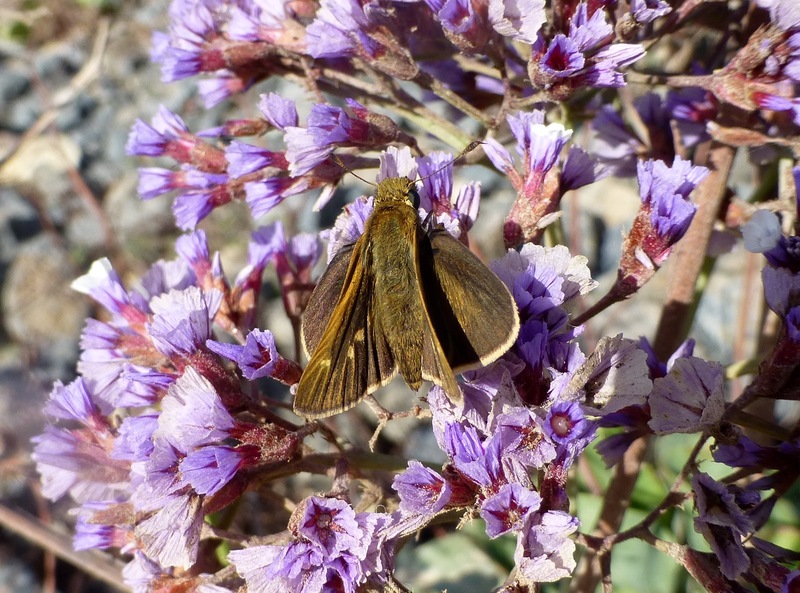 also Umber skippers. Salt Grass Host Plant still hangs on in a few spots on cliffs where it is left alone for the most part Probably due to steepness of cliff! 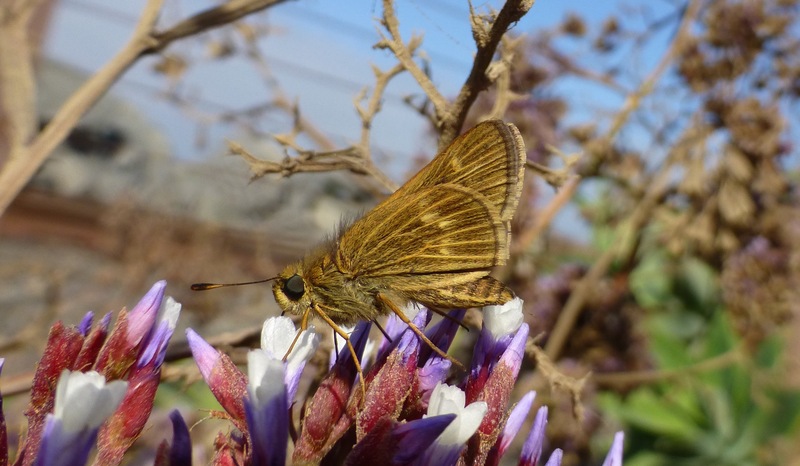 We have seen Several Colony's of Wandering Skippers along the Coast from Dana Point to San Onofre State Beach including several areas along San Clemente's Beach Trail. Preservation of these colony's will Completely depend on the survival of Host Plant Salt Grass!